One of my very favorite channels to watch on YouTube are the “Chapman” sisters otherwise known as Pixiwoo. Sam and Nic are both makeup artists in England and incredibly talented. Not too long ago Sam came out with her own line of brushes called Real Techniques sold at Ulta and I recently picked up the Core Collection and the Blush Brush. I also have the Your Eyes starter set and a few of those brushes have become total staples for me! 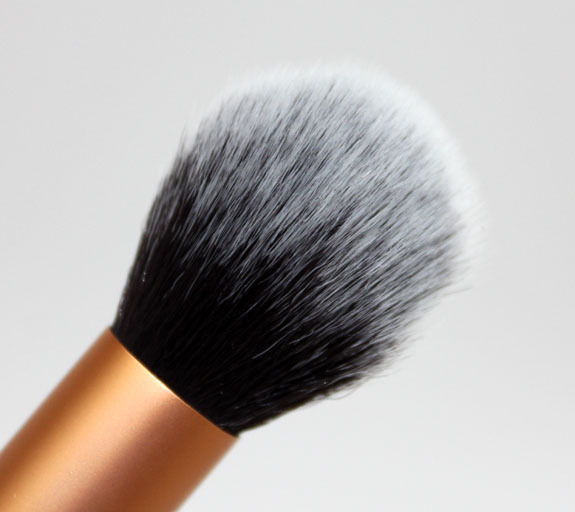 Because Sam is a cruelty-free makeup artists, her brushes are made with taklon (in other words synthetic) bristles. The Core Collection set comes with 4 brushes including a Detailer Brush, Pointed Foundation Brush, Buffing Brush and Contour Brush. They come inside a handy little black carrying case. Here you see the inside of the case, but under this there is the front cover which folds over, protecting the brushes. All of her brushes have a rubberized black handle which makes gripping them easy and nice. 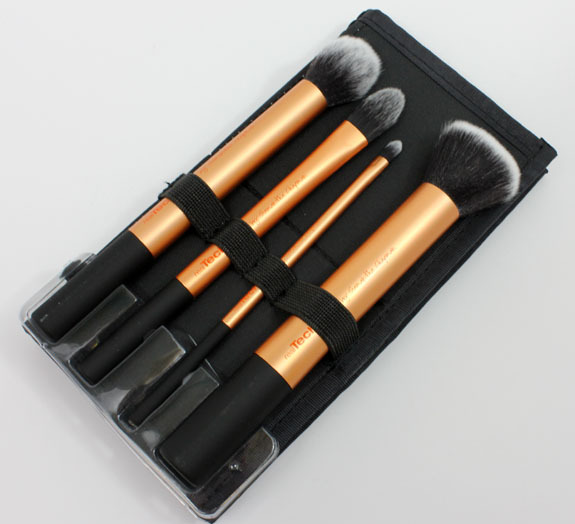 The brushes in this set are a metallic looking copper color, and her name and the type of brush is printed on each one. 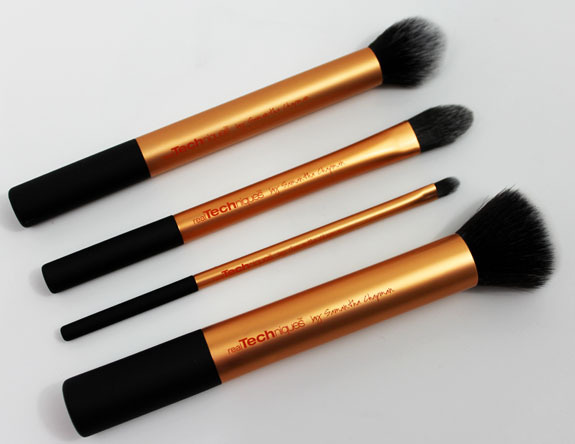 The bristles are very soft, especially with the buffing and contour brushes. 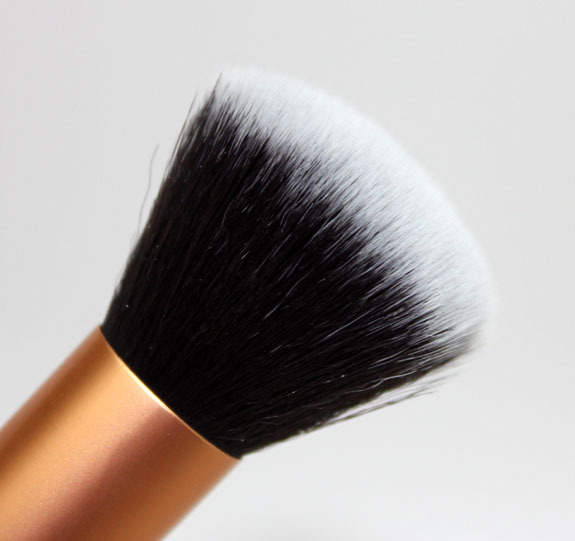 The Contour Brush is very soft and fluffy and has a slightly domed shape. You can use this for applying highlighter to cheeks or actually contouring with blush, which I never actually do. Maybe if I had more time! 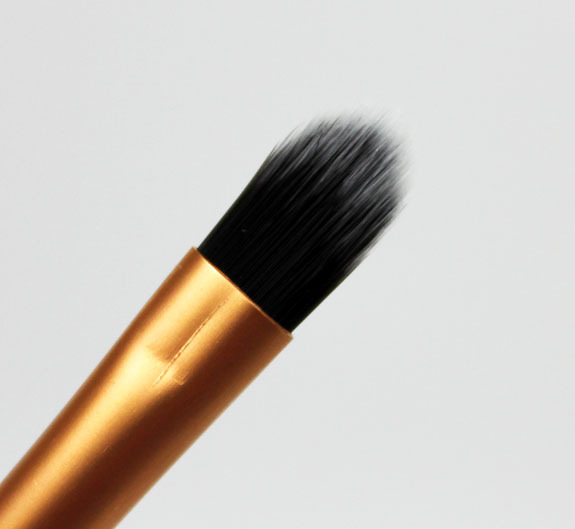 The Pointed Foundation Brush is a slightly harder brush with a pointed tip, ideal for getting foundation into smaller areas on your face such as around your nose, etc. I don’t use this one that much actually, just a personal preference. The Detailer Brush is a smaller slightly pointed brush that works great for under the eye with concealer or even as a lipstick brush. It’s really accurate and has a somewhat harder feel to it so you don’t get much bend, which is perfect for what it’s made for. The Buffing Brush is the brush that has been getting the most use out of this set for me. I have always noticed how she and her sister always REALLY buff their foundation into their skin, so this brush makes perfect sense. 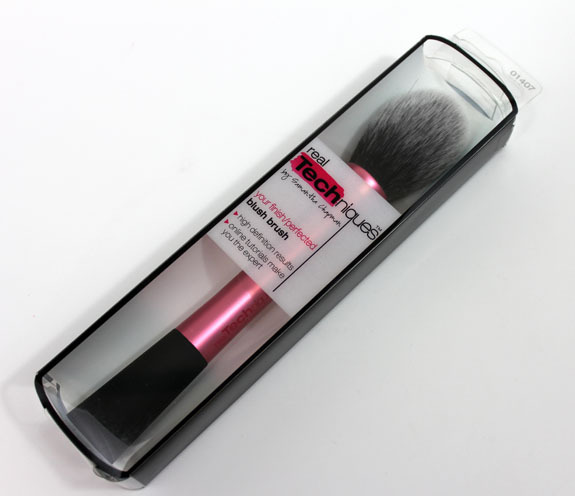 It’s very soft, a great size and after a minute of buffing, leaves your foundation streak-free. Another brush I decided to try was the Blush Brush. This one comes sold separate and has a pink metallic handle. I know it’s not all about looks, but I love the way this brush looks. It’s definitely the cutest blush brush own! The bristles on this brush are a little longer, softer and less dense than the brush I normally use, so it took some getting used to. I normally use the smaller and shorter MAC 116 for blush. This one is very soft and deposits less blush on my cheeks than my MAC one, which can be good or bad, depending on how pigmented the blush is. It did take me a good week of using it for me to really start liking it, but now I do! I have been using it for more pigmented blushes so I get a softer look. I think these brushes are really a very good quality and a GREAT value. I never had any brush pieces break off or fall off, the handles feel sturdy and comfortable in my hand. They aren’t too heavy or slippery. The brush heads all feel soft, do what they say they will do, and I am happy they are all synthetic to boot! Pricing: Core Collection is $17.99 and the Blush Brush is $8.99. 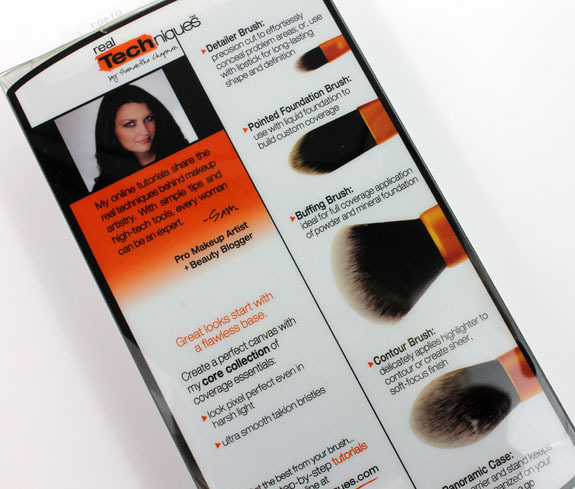 Have you tried any Real Techniques brushes yet? 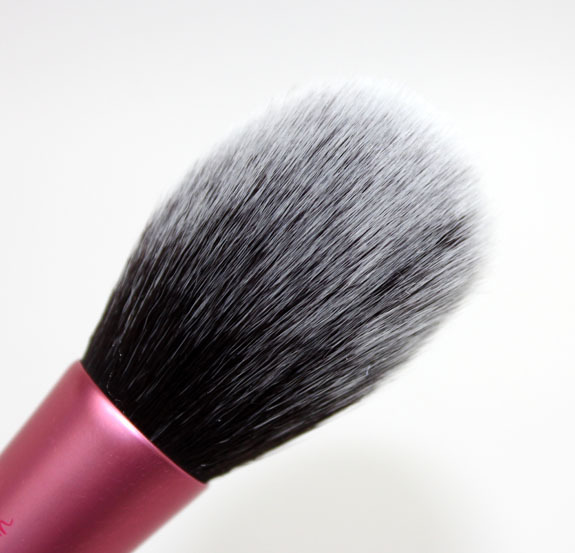 I have the blush brush, and I love that it’s so incredibly soft. It’s definitely one of my favourite brushes (and yes, I love the look of it, too). 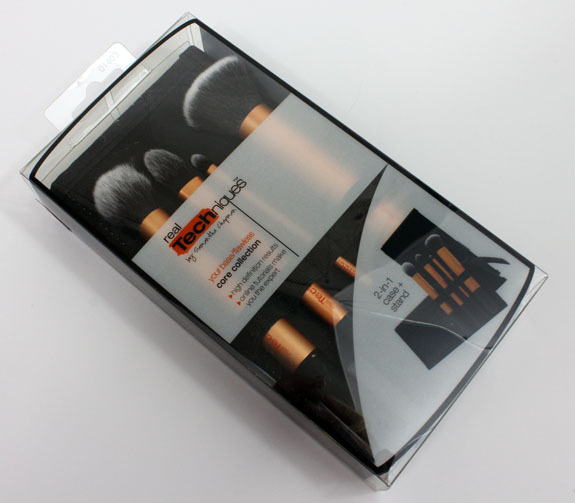 With the sets, I like the fact that the case can also be used as a stand while you are using the brushes. I bought the two sets of the Real Techniques brushes a little while ago and I adore them. In fact, I like them so much I plan to entirely replace all the cheap brushes I’ve bought in the last couple years with the Real Techniques. They’re really beautifully soft and I love the way they work. I love Pixiwoo so much, and I’ll absolutely order these brushes. I only have the blush brush…I feel like it’s waaaaay to soft. I mean it feels nice on my face but I wish it was a little more dense. I need to give it another shot though and maybe use it for bronzer! I have a couple of the other brushes, which I love! I definitely want to try these!! I’m a big fan of the Pixiwoo sisters. They have fantastic videos on YouTube. I definitely want to order these brushes & maybe more. I’ve heard so many good things about them from other YouTubers. 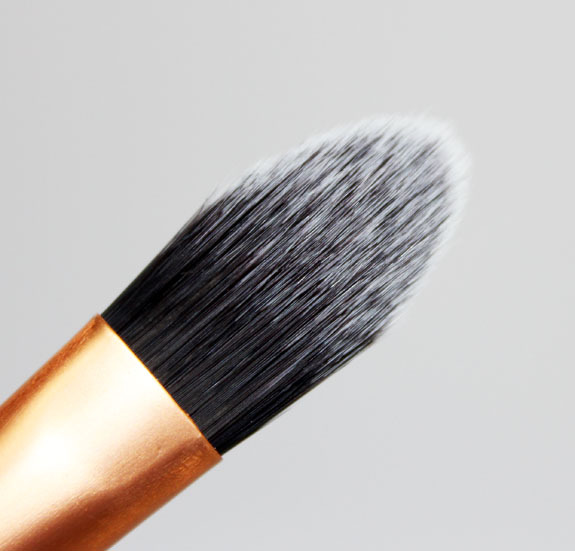 I have the stippling brush and I absolutely love it. 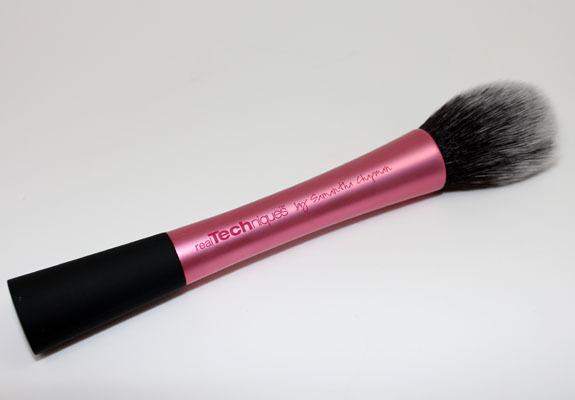 It’s dense and short and does an amazing job of buffing out foundation. Every time I go back to Ulta I always check to see if they have more in but they are always sold out. I want to buy a backup! 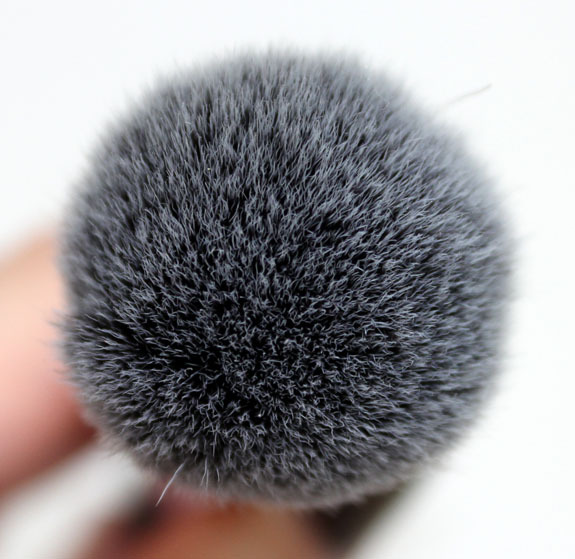 I’ve never tried these brushes, but I just love how fluffy they look. And I’m really into buffing brushes or kabukis because I wear mineral foundation and it really helps make the makeup look better. Hi, did you try to buy them through love-makeup.co.uk? The site is in the UK and sells to Continental Europe. I bought mine there. I am so excited to try these brushes!!! Next time I’m at Ulta I’m going to buy a couple. Definitely getting that blush brush for sure! Thanks for review! I’m ordering it now!